- The IEA warned that the oil industry was not investing enough in new supply, a problem that could become clear in the 2020s. 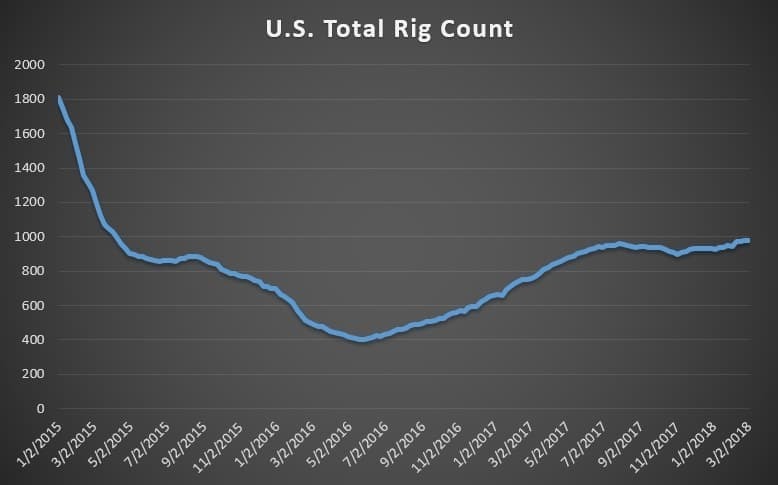 - Spending on conventional oil fields jumped by 57 percent in 2017 to $112 billion, targeting 11 billion barrels of oil. - But the figures are a small fraction of the pre-2014 investment levels, and could create problems beginning in the early 2020s. IEA: Shale to dominate; supply shortage in 2020s. The IEA published its annual Oil 2018 report on Monday, which detailed two broad conclusions: U.S. shale would dominate the supply picture for the next few years, leaving little room for OPEC to boost production. 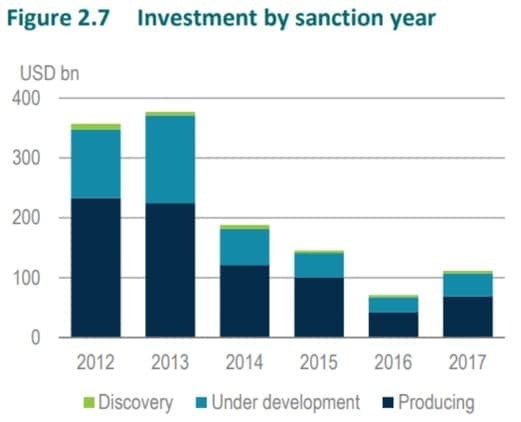 However, by the 2020s, the dearth of upstream investment over the past few years will finally start to bite, and with little spare capacity, the oil market could suffer from a supply crunch. You don't know yet? speculation is the answer. Pure speculation. Just make good profit now, before the price goes down again with all the rigs coming back up. OPEC is wrong to appeal to US shale oil producers on production. It should leave them to dig themselves deeper in debts. Shale producers will continue to produce irrespective of costs so as to pay old outstanding debts and get new funds. In a way, they are like robbing Peter to pay Paul. The International Energy Agency's (IEA) Oil 2018 Report has no credibility. It tries to project objectivity and farsightedness but unfortunately it fails in both accounts. The global oil demand is projected to rise between 7.5-7.9 million barrels a day (mbd) between 2018 and 2023. US shale could provide something like 2.0 mbd or 25%-27% to global supply during that period, Iraq could add 2 mbd and other OPEC members including Kuwait, Saudi Arabia and Venezuela some 2.5 mbd totalling 6.5 mbd. From this total we have to deduct an annual natural depletion rate in global oil production estimated by the IEA at 5% or 4.8 mbd. So the net addition to global oil supplies by 2023 could be estimated at 1.7 mbd thus leaving a deficit of 5.8-6.2 mbd. OPEC and Russia will not maintain the cuts for ever. Once the global oil market has rebalanced completely during this year, they will establish a mechanism beyond 2018 which works as a barometer. The mechanism will trigger proportionate production cuts if the inventories start to build or raise production if there are signs of tightening in the market. So OPEC can’t lose.